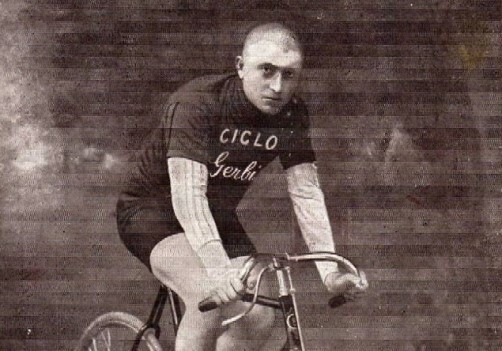 Newspaper La Gazzetta dello Sport put the final arrangements in place on October 9, 1905 for an "Autumn Criterium" originally called Milano-Milano. 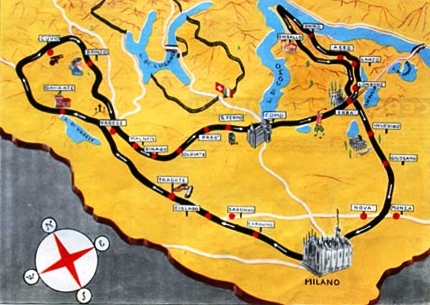 November 12, 1905 the first edition of the Giro di Lombardia (Milano-Milano) rolled out of Milan. Leading up to the race Giovanni "the Red Devil" Gerbi (Il Diavolo Rosso) did extensive recon of the race course. He used this knowledge to put the pressure of his opponents. On a tram line in Bergamo, some 200 km from the finish, a huge crash happened in the peloton. Aggressively the 'anything to win' (all is fair in love and war... and now cycling?) Gerbi attacked the carnage and rode away. In Milan the Red Devil had a 40 mintue lead to claim the first Giro di Lombardia victory. 1. Giovanni GERBI (Ita) 9h13'52"
2. Giovanni Rossignoli (Ita) +40'11"
3. Luigi Ganna (Ita) +40'46"